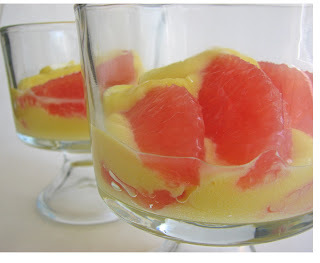 Definitely a "reminiscent of spring" treat - so wonderful!! I' ve never heard of this before! I love lemon though and would love to try it! Mmmmm, I love lemon. It sounds almost like a sweet variation on a Hollandaise (which I happen to love love love). i love the combination of sweet and sour here. wonderful simplicity! 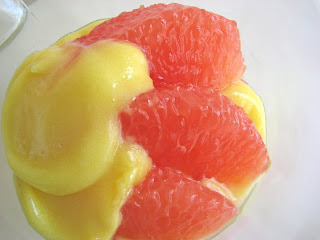 I love what you've been doing with citrus in your last couple of posts. These recipes are so inspiring...and seductive! 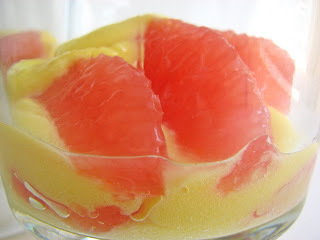 I've been looking for some grapefruit dessert ideas lately, and I think this one will definitely have to be experimented with this weekend. Thanks! Gorgeous colors! I'm excited for spring but I'll miss the citrus. Oh my goodness!!! 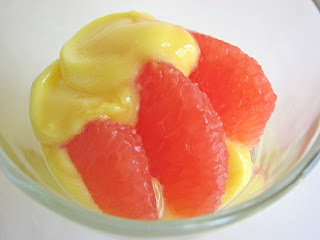 Lemon Sabayon with Grapefruit!!! Such a wonderful combination!! Really, I've to admit that I'm hearing it for the first time. I'm very excited and ready to know how it’s gonna test? The picture looks so attractive that I got stuck in this page when I was browsing net. The color combination is interesting!!! I've an experimental test bud and planning to give a try to your exciting custard. thank you for shearing your post.